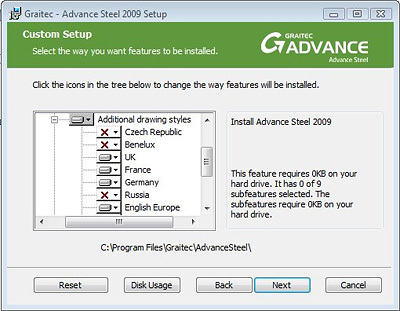 When you install, for example, the "English Europe" Advance Steel version, you get the corresponding Drawing Styles. If you wish to install Drawing Styles from other countries, you need to modify your installation. Insert the Advance Steel 2009 Installation CD in the CD Drive. 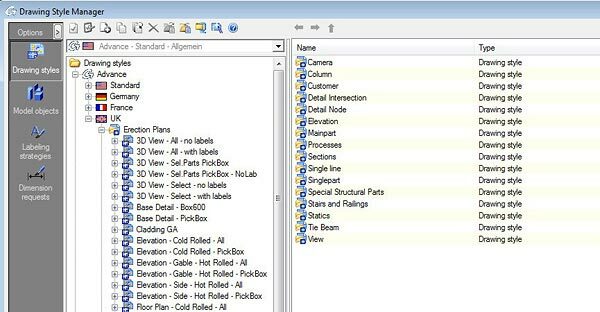 Go to Start - Control panel - Add / remove programs. 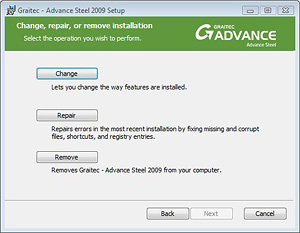 Go to "Graitec - Advance Steel 2009" program and click the "Change" button. Click "Next" and then click "Change". Select the countries of the Drawing styles you want to install. Click "Next" and then "Modify" to install them. Click "Finish" and close the control panel dialog box. Click the "Country settings " icon on the "Standard" Advance Steel toolbar. Select the country of the Drawing styles (e.g. UK) you wish to access and click OK. When you go to the Drawing Style manager ("Drawing style manager" icon in the "Numbering, drawing" toolbar), you can see in the "Advance" branch all the UK Drawing Styles. You can select them from here, and click the "Use" button to use them. 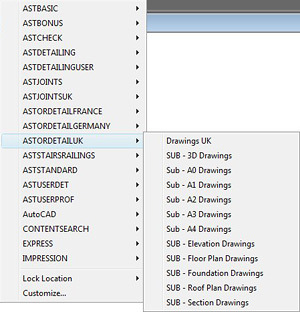 Or you can display the "UK Drawing Styles" toolbar, with a right-click on the gray background and choose "ASTORDETAILUK", and then select the desired sub-toolbar. If you choose the "UK Drawings", the toolbar is displayed and you can use any icon from it to create your drawings with a "UK" presentation.